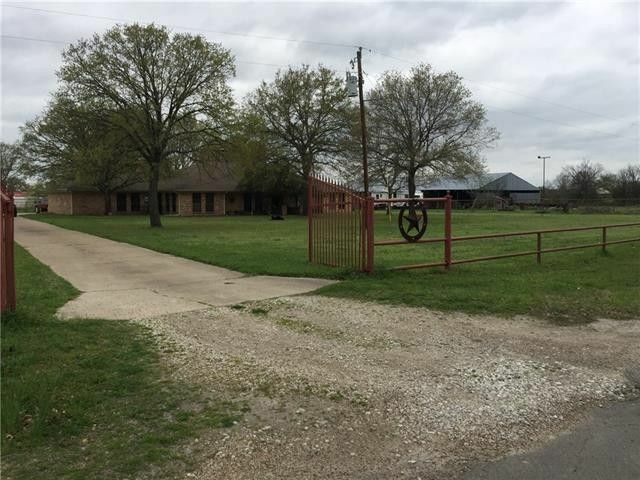 Come see this 4 Bedroom 3 Bath Home on 12+-Acres fenced with a pond and barn. Barn has stalls, work area and plenty of storage. Home features 2 living areas with WBFP in both and has heataltors that go through the vents in home. Nice master suite with his and her vanities, sauna tub, sep shower, walk in closets. Formal Dining area and breakfast nook. One of the living areas has a wet bar that would be great as a game room. Nice big utility room and another room that would be great for craft, sewing or extra storage. Oversized garage. All info in this listing to be verified.